We can restore your bright smile with our teeth whitening process. Whitening is very effective in most cases to lighten up the shade of your teeth and improve your smile. In essence, the procedure removes the surface and subsurface stain and will “turn back the clock” to lighten the color of your teeth. Overall the success rate is approximately 85-90%. In recent years, dozens of different types, techniques and styles of whitening have inundated the market. Working with you, we can best determine which type of whitening best suits your needs. Sometimes, the best method will be one of the over-the-counter whitening products like White-Strips. Other times, we will recommend a professional whitening system. We would be very happy to discuss the teeth whitening method that we feel is best for you at our Annandale office. We are minutes from Merrifield and near the Fairfax, Vienna and Burke areas. Call us at 703-698-9698 or fill out the form on the right. 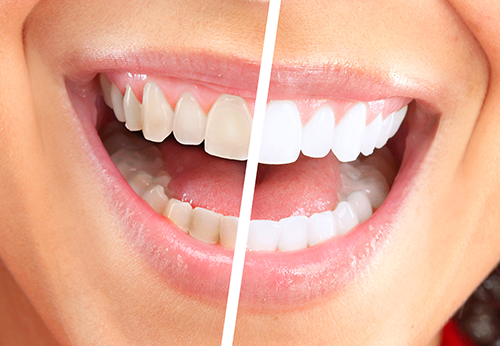 Teeth whitening can bring out the true brilliance of your smile. Want to find out which teeth whitening method is best for you?